The open plan office: love it, or hate it? If you dread the noise levels, lack of privacy, and having to be “on” all the time, there is good news. The open plan office design is changing. In a follow-up to our piece on the Spaces In Between, we take a look at spaces within spaces. These micro-environments section an open plan layout, often without even putting up walls. Spaces within spaces can help people find refuge in an open plan. 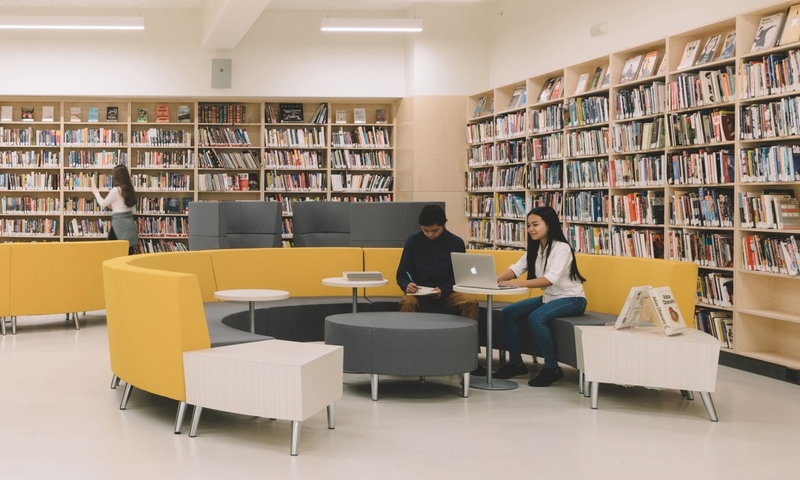 By inserting quiet zones next to benching workstations, for instance, designers create private and communal areas for everyone. Enter the emergence of Activity-Based Workplaces (ABW), a concept “that serves four major work functions: solo work, collaboration, learning, and socializing and rejuvenation.”1 ABWs divide environments into breakout spaces, kitchens, and enclosed meeting rooms - with social hubs at the center of it all. ABWs offer a healthy balance between solitude and collaboration. Most importantly, people have the choice to work in either type of space anytime they need. In a visual sense, these spaces within spaces create a continual experience as people move through the environment. The Saatchi & Saatchi Offices in London, UK. Photographed by Gareth Gardner. While tech and millennial-friendly companies have popularized open plan office designs, there is a big reason for its continued grip on businesses: money. In truth, the layout simply fits more people into valuable real estate. Fewer enclosed rooms also mean less cost and hassle with wiring and safety codes. The open office concept is divisive, but the trend is not fading anytime soon (The Wall Street Journal even wrote a survival plan). Instead, companies should be considering better open plan office designs. 1. A Nature-Inspired Office in Cape Town, South Africa. Photographed by Riann West Photography. 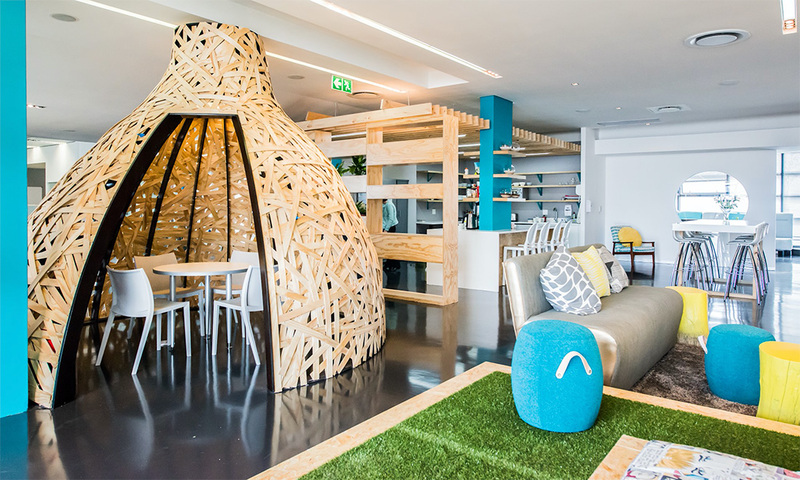 This nest-like meeting room is the highlight of marketing agency John Brown Media's office. Note that the dome structure is made with strips of pine which allow light to peek through. The unique meeting space gives the team privacy while exuding a sense of warmth and openness. 2. A Minimalist, Converted Warehouse in New York City, USA. 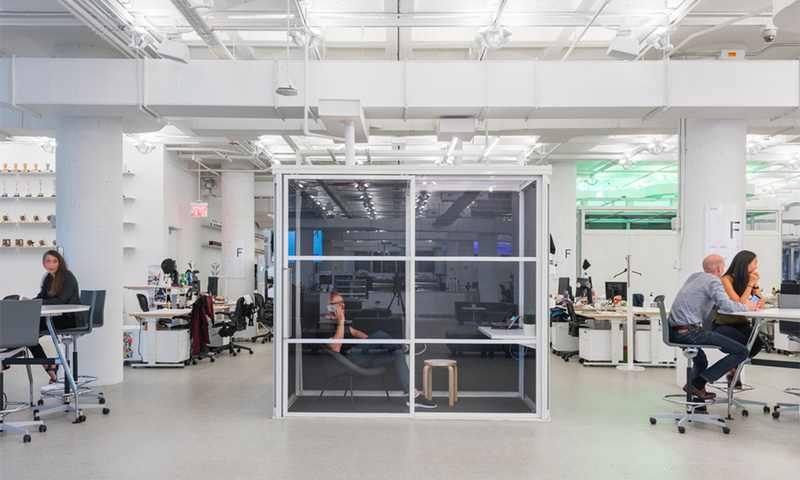 Digital agency R/GA transformed 80,000 square feet of warehouse space into several hubs, but one area stands out the most: the glass-walled cubicle. It provides a quiet retreat in the center of the open plan office. The glass walls allow the individual inside to remain connected with the larger environment, which is rather on-brand for a digital agency. 3. A Brilliant Noise Reducer by ThinkingQuietly. Common complaints about the open office? Higher levels of stress and lower levels of concentration caused by the lack of soundproofing. Enter the ThinkingQuietly Cone of Silence which reduces din. 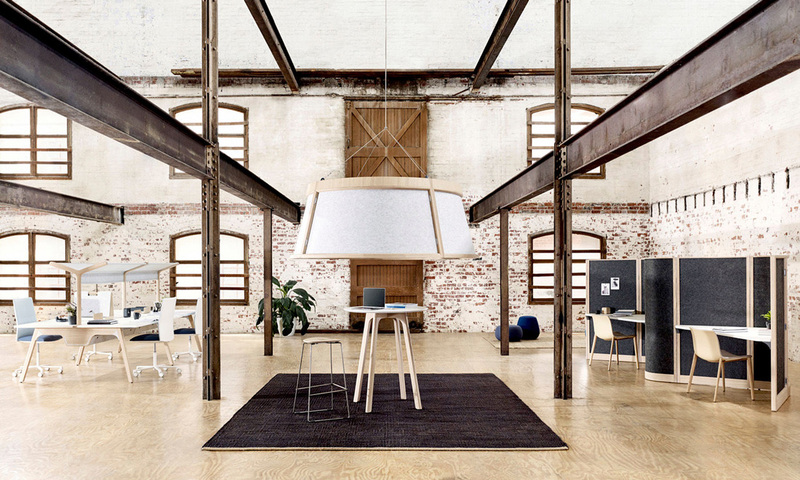 Hanging from above, this open office design idea makes the most of valuable real estate. 4. An Eyecatching Lounge in Oakland, USA. Sometimes, sectioning an area does not even require walls. 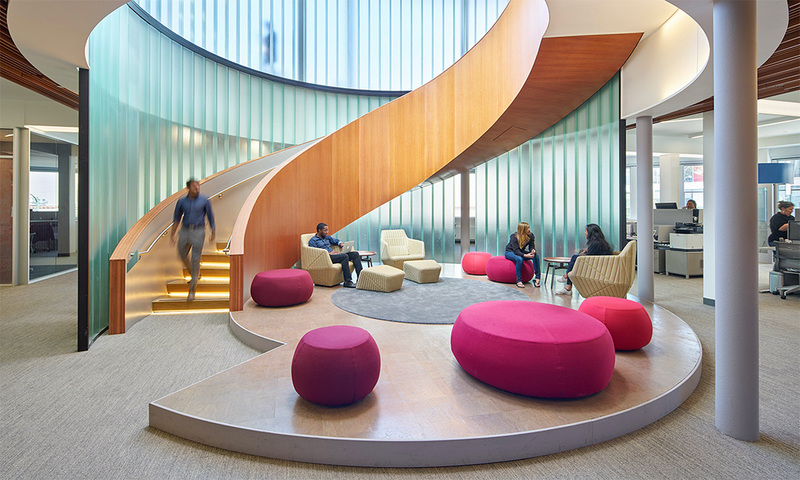 The beautiful Kapor Center for Social Impact office incorporates a winding staircase that cleverly draws the eye from the upper floor down to the lounge area. 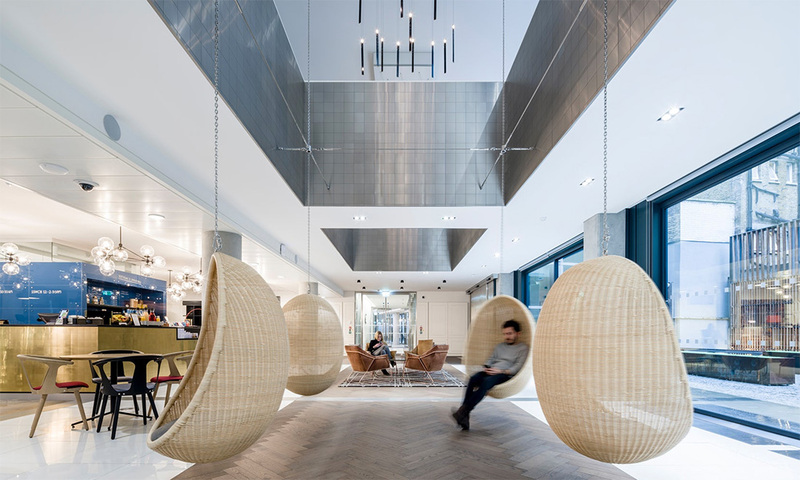 A raised platform and strong circular motif set the lounge apart from the rest of the open office. 1Kay Sargent, Betsy Nurse, and Andy Warner Lacey, "Moving Beyond Open Plan Spaces," Work Design Magazine, September 28, 2017. 2Bailey McCann, "A Healthy Return: The Business Case for Wellbeing in the Workplace," Metropolis Magazine, October 25, 2017. 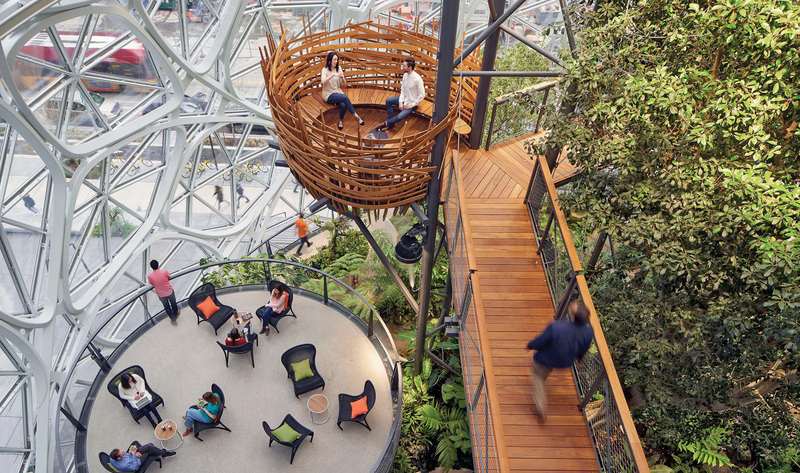 Header image of Amazon Seattle office. Photo by Bruce Damonte.